ONE check made out to Scholastic Reading Club. **If you would like to purchase any books as a gift for your child, please include a note and I will package the gift books and contact you for delivery arrangements. Book orders are due on or before Wednesday, April 10. SIGN UP at www.scholastic.com/bookclubs. On the parent page, register by clicking click the “Don’t have a username or password?” link. When prompted, enter the one-time Class Activation Code shown above. This unique code ensures that your order is sent to me. SELECT the books you’d like to order—choose from thousands of titles—many more than in our monthly flyers. If you spend $25 or more online, you’ll get to pick a FREE book. HOW IS IT ALREADY APRIL?!?!?!?!?!?!?! 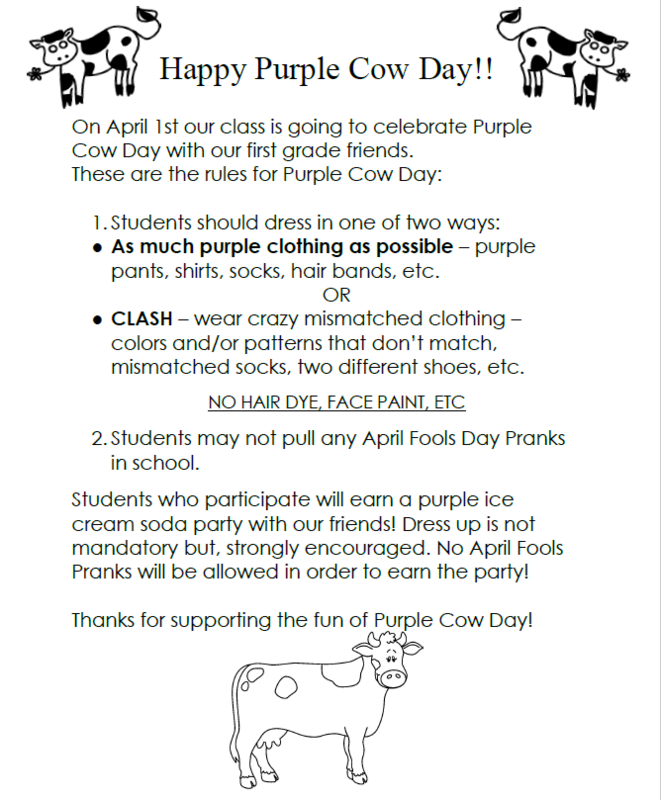 Monday is Purple Cow Day! Please see the letter that came home today with information below. Starting on Monday, March 18 until Monday, April 8 we will be in March Madness mode in the classroom! 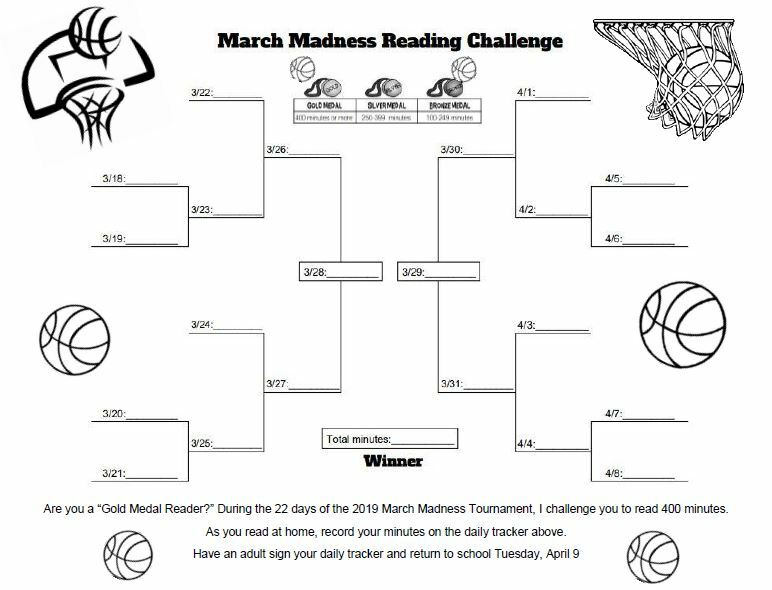 To help celebrate our love of basketball I am challenging all students to read 400 minutes over the 22 days of March Madness. Today, students will bring home a March Madness Reading Challenge bracket. To earn a gold medal students must read 400 minutes total which is a minimum of 18 minutes a night. Students may also earn a silver medal for reading 250-399 minutes total or a bronze medal for reading 100-249 total. On Tuesday, April 9 the bracket needs to be returned to school filled out and signed by a parent or guardian. Book orders are due on or before Wednesday, March 20.